Did you watch the big game? I watched until about the third quarter. It was super boring! Plus I only watched it for Maroon 5 and the commercials! Speaking of commercials, did you see the CAPTAIN MARVEL Big Game Spot? No? Well, I’ve got it here, so you can watch it now! Higher, further, faster, baby! This movie is going to have so many layers to it. 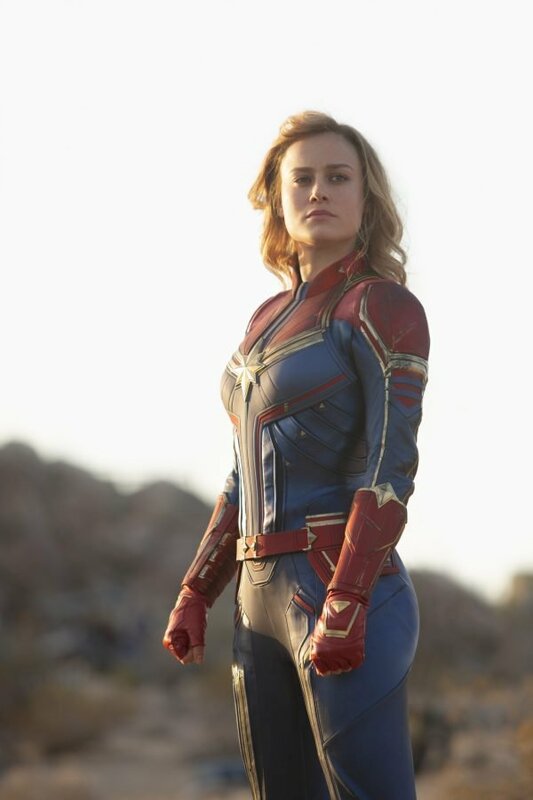 I feel like with each CAPTAIN MARVEL movie trailer, special look and now the CAPTAIN MARVEL Big Game spot, another layer is added. The complexity of Carol’s life on Earth, being with the Kree, hanging out with Fury…how long is this movie again? Not long enough! I can’t wait to see what is sure to be a fast-paced, action packed ride! You know you need these awesome CAPTAIN MARVEL items! Check out all of the CAPTAIN MARVEL products here! If you are a gamer, I’ve got exciting news for you! MARVEL ULTIMATE ALLIANCE 3 is coming summer 2019 exclusively to Nintendo Switch! Find out more about the game here. Okay, so my guess is that the top photo is when Carol was on Earth the first time, and the bottom photo is when she’s back from space because she has her Nine Inch Nails shirt on like she does when she’s with Fury. Who or what do you think they’re looking at? Neither of them look to thrilled! 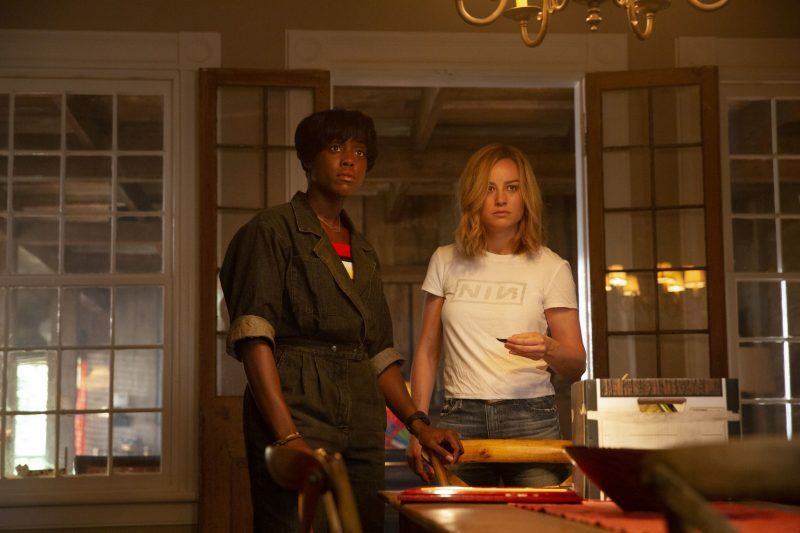 The film opens March 8, 2019 to coincide with International Women’s Day, so celebrate by seeing CAPTAIN MARVEL!